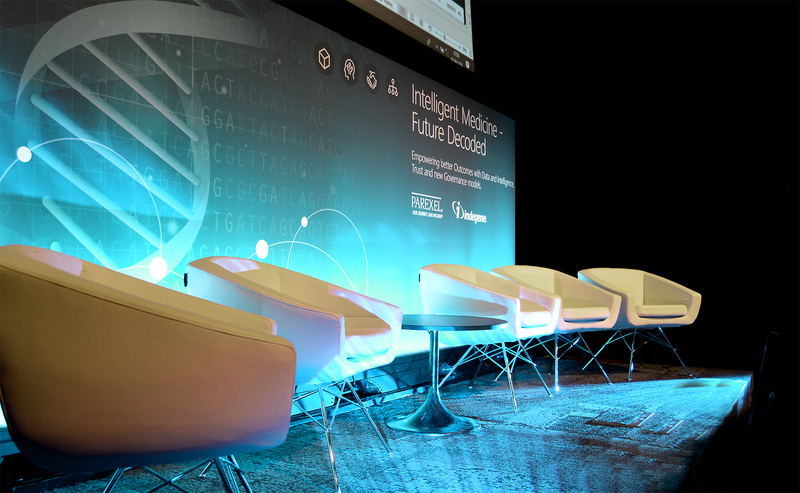 JMPS LTD was approached by DDMC Event Design to provide support services for the Microsoft Research event that they were organising in Cambridge. Assisting with the design and construction of the backdrop and external branding walls we also provided Audio Visual Equipment and technical support for the duration of the event. Following a couple of site visits with the Microsoft research technical team we suggested HD Video solutions along with custom print options and a small amount of moving head lighting to create and fresh but uncluttered feel to the event. The provision of technical hire equipment included Sennheiser Radio Microphones, Chauvet Lighting Systems, a Barco Video Processing and Dell Laptops.